When it comes to date night it’s important to me to make sure we find cheap or free ideas to stay on our budget. I’ve been married to my husband now for almost 5 years and we never really ‘dated’ each other. When we started dating, he was an Assistant Principal and I was a teacher and we had to keep our relationship semi-hidden since we didn’t want anyone to think that there was any favoritism. That meant for us, date nights and getting to know each other better happened a lot at home and movie night and take out was our go to. Even after we shared our relationship, our lives were so busy that we didn’t often take the time to date each other as we should and I knew that when we got married, if we didn’t take the time to ‘date’, than romance would be out the door. This year, with the addition of a 3rd kid to our family, we knew we would have to be super intentional about our time together. Add on top of it that my husband had been out of work for 7 months (starting again soon, yay!) so we’ve been together A LOT and it was hard to separate those romantic moments from our day to day. So, we made a resolution to date each other more this year. To do this we knew we had to set intentional measures (and we’re both data nerds) so we determined that we’d do AT LEAST one ‘home date’ a month and one out of the house date every other month. We knew this wasn’t 100% as much time together as we wanted, but it was a much more realistic goal for us. Plus, these goals are STILL a reach for us since honestly, the only ‘dating’ we did was if we got invited to a wedding a few times a year. As life gets busier and busier for us moms a few things get pushed back in our lives; ourselves and our husbands. We take care of ourselves less and we often forget, in between the day to day conversations about cooking dinner, picking up diapers, or who is going to do bath time, that our husbands (and us!) deserve to feel special too. Your relationship with our husband matters. Remember, that when your children are grown and gone, it will just be you two again. And when you are both in love and happy with each other (a byproduct of dating each other!) your home feels happier and that trickles down to your children. There are a lot of really great benefits on your relationships when you make the effort to date each other but let’s focus on the effects it has on YOU. I often get stuck in the day to day drudgery. I can’t remember the last time I washed my hair, I’m constantly covered in spit-up, and by the end of the day, I am just over being touched by someone each day. Even if you choose to do a ‘home date’, can I encourage you to get dressed and out of those yoga pants? Now don’t get confused, I don’t think women have to wear makeup or dress a certain way to be happy or feel good about themselves but, let’s be real, changing your clothes and taking a few minutes on you does make you feel better. I make it a rule to get dressed first thing in the morning (even if I’m changing into my ‘nice yoga pants’) because it makes me feel better, more in control, and less frumpy. On those occasions, you decide to get a sitter and go on a date outside of the house, take the time to put on something that makes you feel good, smile at yourself in the mirror and remember that person you were before all the stress and craziness. That woman is still in there, smiling and waiting for you to remember her too! Okay mamas, this HAS to go on the calendar or it’s not going to happen. Life happens, we get tired, and it’s so easy to say “let’s just do it another night”. By putting it on the calendar and committing to each other that there is NO negotiation on that date, you can ensure that your date happens. We often do our date nights in because we’re in a season where we have little kids who go to bed early. We rarely are out after dark and we’re okay with it. This means, our date nights in can be done super easily! Now that the baby (currently 5 months) is going to bed at the same time as our toddler, we can put them to bed and go downstairs for our date. On the times we want to leave the house, we make sure to lock in a sitter (for us that’s my mother in law) so that we can leave the house. Having secured that someone is going to come over gives us even more accountability to actually making our date happen. So what do you do on your date night; whether they are in the house or not? If you’re like me, you don’t want to spend a ton of money (or maybe you’re in a season like us where we can’t spend a ton of money) on your dates and are tired of saying “you just want to pick something on Netflix?”, I’ve got some ideas to get you started! I came up with my list of 28 date ideas that you can use to mix up your dates AND the best part is that they are FREE or CHEAP so they won’t break the bank. So often ‘not having money’ is just another excuse we use to not do the things we know is important and I hope this list helps give you some ideas! You can print it out and use it as a checklist with your spouse! We alternate dates on who picks which idea, and our goal is to complete the list by the end of the year! So put it on your fridge as inspiration, and a reminder, to date your spouse! Valentine’s Day can be expensive but can be done on a budget. You can have date nights that are cheap, fun activities with your kids that don’t cost a lot of money and things you can bring to schools that keep you on your budget! This is our first year with my 3 year old at school so I’m making sure whatever we contribute to class doesn’t have us going over the budget! I’m also keeping the same mindset when it comes to celebrating with my husband. We are working hard on our debt free journey so I’ve already started to think about gifts that I can DIY and places we can go that stay in our ‘date’ budget! To help you stay on your budget too, I put together a list of some great activities, gifts, and dates that will help you out! When you work to achieve the goals that matter to you, you need to come up with a plan to create habits and routines that will work. Using habit stacking will get you closer to your goals faster. So often, we set out to hit these big goals and fall short. We’re told DREAM BIG and REACH FOR THE STARS but we go about achieving these goals the wrong way. I’ve been there. I’ve created an ‘all or nothing’ mentality way too many times in my life. Maybe you’ve been there too. You’ve created these grandiose statements about how you’re never eating sugar again, decluttering your entire house in one day, or finally sitting down to write that book you’ve always dreamed of (which you of course plan to finish in just one month). Making big goals and not creating a system to attack them is just setting yourself up for failure. If you’ve ever started a diet on Monday and by Wednesday are back to your old habits because you’ve ‘fallen off the wagon’ than you know what I mean. When successful and productive people make habits, they do it strategically. Yes, they dream big and make huge and mighty goals (because playing small never served anyone) but they also come up with a PLAN to get things done. To create habits that really will produce results and get you to your goals, you have to make them concrete. It doesn’t do you any good to say that you’ll ‘eat better’ or ‘read more’ or ‘be happier’. Those are just words tossed up in the sky. You need to put a concrete measure on what you really will accomplish. Change ‘eat better’ to ‘eat 5 servings of veggies a day’ and ‘read more’ into ‘read 2 books a month’ and ‘be happier’ into ‘have coffee with a friend each week, take a dance lesson every month, or go on a solo vacation’. Writing down your goals in such a way that you can measure will set you up for tremendous success. When you know exactly what you’re shooting for you can create a plan to track your results and take steps to achieving it. But how do you actually make a plan that you’ll stick to? How can you take your goals and DO SOMETHING with them without quitting? Habit stacking is the #1 way that I’ve seen success with my goals and the way I teach all of the women I work with to go after theirs. Instead of trying to change everything overnight, you need to pick small pieces of the goal to tackle each week. Let’s go back to the weight loss example. If you’ve decided that you want to lose weight and eat healthier, you might decide overnight that you will only drink water, eat vegetables at each meal, eliminate unhealthy carbs and stop eating after 5pm. Where you set yourself up for failure is when you try to do them all AT THE SAME TIME. There is nothing wrong with wanting to change and do better but, if you truly want to make lifestyle changes and achieve long term goals, no one says that you have to make all of the changes overnight! By breaking them down into smaller habits, and really developing those habits as part of your day to day routines, you can create systems in your life that just become second nature and impact you long term. So, if you’re looking to get healthier and lose weight, you might want to pick one of those small goals to work on for 1-2 weeks. Take 2 weeks to just focus on your water intake. Don’t worry about any of the other stuff and put all your efforts into doing one thing really, really well. You’ll become a water expert, hitting your water goal won’t feel as hard after two weeks, and you’ll be able to celebrate the small success and win that you had. After 2 weeks, now that you’ve tackled that goal and it’s become second nature, ADD in a second small goal. For the next 2 weeks you’ll not only focus on your water intake (which won’t be as hard to achieve since you’ve mastered it these past two weeks) but you’ll focus on eating one serving of vegetables with each meal. Focus on that for two weeks and then add your next small goal. Will it take you longer to get all of your habits down? Maybe. But by tackling your goals this way you’re more likely to not quit along the way because you’re trying to change too much too quickly. This way you’ll start to create habits that last you a lifetime and not just for the short term. And you can celebrate the little wins along the way! When you’re on your way to achieving your goals, how can you stay motivated? Well with habit stacking, it’s not as tough. I suggest using a goal tracking sheet to mark down which habits you’re sticking to. There is nothing wrong with giving yourself a gold star or needing to check a box to stay motivated in the beginning. As you are tackling these new habits and making them more part of your lifestyle, external motivation will be a big part in keeping you going. After a few weeks of seeing success with your ‘little wins’, these habits will become more internal and you won’t need to track them each day. But to start, don’t hesitate to track! Tracking will keep you focused, help you see the big picture, and allow you to applaud yourself for your success. Without tracking, it’s so easy to miss a day of your new habit and completely stop. When you track your new habits, you get that little reminder of what you need to get done and that little push to keep going! So this week, break your goals down and pick 1 thing to focus on and get really great at it! Comment below with what you're focusing on this week and keep me updated! Want to Read More in this Routines Series? You’re at the checkout line wondering if your card will go through. You know you should know exactly how much is in your account but you’ve been too scared to check and know that you just need to get some produce and milk. You hold your breath and pray that the words DECLINED don’t show up so you can just get your milk and leave before you bump into anyone that sees you using WIC checks to make ends meet. I feel your heart beating faster and faster as the cashier looks at you with a sad look in your eyes that your card didn’t go through and she still needed $5.25 for the bill. I feel the panic set into your brain as you realize you have no cash, no cards with any money on it and you know you’ll have to walk away from the store empty handed. I can feel the tears well up in your eyes as the woman behind you looks at you with pity and says “I’ve got it hunny, don’t worry about it” and your face flush red as you accept her help. Your mind starts to race at all the things you wish you could say to her. How you want to explain your situation, what happened that you needed to get help, that you aren’t lazy or just wanting a hand out but just need a little help. Your mouth can’t seem to form words so you just nod and replay with tears streaming down your face, “Thank You”. Mama, I see you at home, opening up the bills and wondering how you’ll make it through. You sit there and try to plan out if you’ll be able to get the kids anything for Christmas, what you can sell to make extra money for groceries or to pay the phone bill, and wonder when your husband will be back at work or how you can help bring in more money. I understand your fear mama. I know what it’s like to have the ground ripped from under you. I feel your jealousy rise up as you see other people on social media taking their kids to fun events, filling up the Christmas tree, or eating out multiple times a week and you wonder just when you’ll be able to even take a breath again without worrying about money. I know what it’s like when you feel your faith tested. When you find yourself asking God, “What else can I do”? And wondering if He has forgotten about you or what you did wrong. Mama, I know the despair in your heart. But mama… can I tell you something? I know it’s hard right now and it might not get easier for a long time. I know how scary it is to not know whether or not your phone will get shut off, your card will get rejected at the store, or how long you can put up a front to your friends and family about how tough things really are. But know there IS a light at the end of the tunnel. No matter how deep and dark things feel now, know that things WILL turn around. God has you in His arms and though you don’t understand why you’re in this valley, things will be okay. Remember that it’s okay to ask for help. There is no shame in using assistance if you need it and there should be no judgement from the people who really love you. Know that there is always something you can do or somewhere you can go for help, even if it’s just something little, to make it through. Dear mama… I know you’re scared. I know you feel lost. I know you are broken. I know you are hurting. But I also know that you are not in this alone. You are a warrior. You have all you need to get through today. Take things one day at a time, one decision at a time and one step at a time. You deserve all the happiness in the world and know, your time will come and your light will shine again. Hopefully you’ve been joining us for this series on enjoying Christmas on a Budget. This post is going to focus on homemade Christmas card ideas on a budget! And no, you don’t have to be super crafty to make your own holiday card. I actually really love giving and receiving our holiday cards. It’s such a special time of year to get to see how everyone’s family has grown and getting to tape them up on our mantle. A few years ago, when we started sending our own cards out each year, I was shocked at the prices! I could not even wrap my head around the fact that it might cost us $100+ to create and mail cards out! I refuse to pay that much (I mean I’m ALL about saving money to stay on our budget) so I went on a hunt to figure out how to DIY my own cards in the cheapest way to stick to our Christmas budget. You’ll need a few things to get started with creating your own cards this year and it’s key to start planning ahead. You’ll want to give yourself some time and put in your calendar to spend maybe 30 minutes a week for a few weeks putting these cards together. For your cards you’ll most likely want; a family picture, a quote or message, stamps, photo printer paper, and time to snag some good deals if you don’t want to print them yourself! If you want a nice quote or message besides just “Merry Christmas” on your card, head over to Pinterest and create a board for yourself to save some inspiration. You can PIN ideas that you see of styles you like, quotes that you might want to use or even simply some color inspiration! Pinterest is always a starting place for me when it comes to my creativity because honestly, I don’t have all that much of it. I like to have a starting place and not a blank canvas because it saves me time. Don’t get too caught up in all of the fancy cards though. Know your crafting and DIY skills and know that it doesn’t have to be complicated to put together a nice DIY card! We always DIY our holiday cards because they are the simplest way to get started. We recently took family pictures so, while my kids have grown up a bit, I don’t feel the need to take new ones right now. If you want a new family picture, you need to book those sessions NOW! There are so many great photographers that offer awesome rate (and if you’re in Bucks County, PA make sure you check out Mini Bucks County for discounts for our members) and a great place to start finding one is in Mommy Facebook Groups. I’ve actually been able to trade services for a free photoshoot! I found a photographer who was looking for some blogging services that I offered and we swapped services! If you have a business that someone might be interested (particularly around the holiday time! ), don’t hesitate to post that you’re looking for a services swap in a group and see what happens! Hiring a professional photographer might not be in the budget so don’t shy away from places like JC Penny that often offer great deals. It may not be the fanciest but you’ll get some nice pictures that you and your family can use for the cards! After you’ve gotten your pictures, head over to Canva to create your card! I’ve done a quick video for you below on how you can use this free site to make awesome cards. They have a ton of templates that I love and make it super easy for us non-creatives! Once you have your card created you have a couple options when it comes to printing it out and staying on your budget. We have plenty of photo paper so, depending on our ink situation, I sometimes print mine out. We often do this for birthday party invitations but, when it comes to Christmas cards, it might not be as cost effective. You can also just send some somewhere simple like Target or CVS and get them printed out as regular pictures. If you choose the matte finish, they look like regular cards (just not printed on thicker paper) and can be around 10 cents a photo! At first, I really wanted to make sure they were super fancy but I realized that most people were going to just throw them away anyway and if they really cared more about the quality of the card vs. the people on it, they weren’t ‘my people’ anyway! Always search for promo codes on sites like Ebates so that you can get a great deal on top of it! You might save only $4-5 but if you’re still looking ot cash flow your Christmas, that money matters!! If you don’t even want to go the Canva route, use Ebates to find deals or wait until Cyber Monday. So many places like Mixbook will have killer deals and if you plan in advance to be ready to order that day, you will at least get a discount! I’ve found some other ideas for you to get your crafty on below! Check them out and know, no matter which route you take, your cards are amazing because they represent you and your family! The holidays are a time when we all wish we had more money to spend. There are a lot of ways to make money at Christmas and jobs that are great for working moms and stay at home moms to earn more money for their family. Before I ran my blog, I was a highschool teacher. I loved being a teacher but I was burnt out and barely saw my family. When I was home, I was spending my weekends grading papers and lesson planning. I told myself that this wasn’t the life I wanted and that I would do what I could to make money as a stay at home mom. There are a lot of different ways that you can make and save money to create an income as a mom. Some moms might want some money so that they can contribute financially to the family, some want to be able to pay for Christmas gifts in cash or save for a holiday or college savings, and some need to make money to put food on the table and pay bills. When I started working from home full time, I did it through network marketing as a beachbody coach. I was able to grow a successful 6-figure business and, during that first full time year, replace my teaching salary. After working my beachbody business for 6 years, I felt a calling to spread my reach and do more to impact women for God. 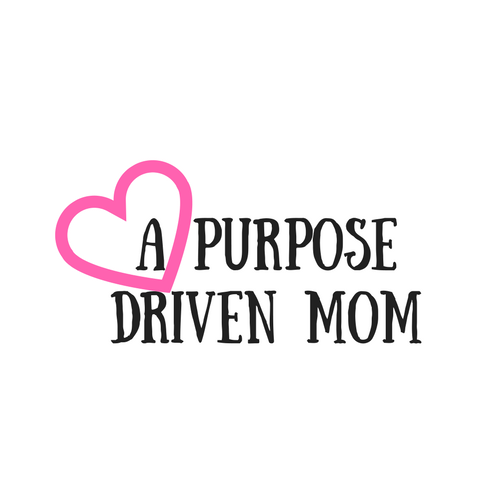 That’s when I started A Purpose Driven Mom. I knew that if I was going to spend the majority of my time on APDM, that my Beachbody income would go down, and I was okay with that. That also meant that I had to find other ways to supplement the income without adding too many more hours to my plate. You can find ways to make extra income but know, the amount you make will depend on how many hours you want and can put into your day working. There are ways to supplement your income if you work outside your home and ways to work from home while making money for your family. Okay, okay… if you’ve been hanging out here at A Purpose Driven Mom for a bit, you probably knew that I was going to start with talking quickly about how to SAVE money first. Yes, you can totally cash flow your life without coupons but, before you go crazy taking on extra hours, I really want to suggest you start by looking at your current budget. Are there areas where you can save money? Are there places you are overspending? Do you have an income problem or a spending problem? If you don’t have a budget or know where to start, you need to head over now and grab my budgeting course “Busy on a Budget” This course will walk you through all of these questions and help you set up a budget that allows you to start paying off debt NOW! Once you look deeply at your budgets, you’ll be able to see where you can make some cuts in order to save for Christmas and beyond. Start with printing out last month’s bank and credit statements and use highlighters to color code your spending (for example, make purple eating out and green kid’s stuff). This will give you a bigger picture at where you can cut things out. Instead of spending $10 a week on Starbucks, take that money you’d spend and put it in an envelope for holiday spending. If you were putting your Starbucks on your credit card… STOP. There is no point in finding ways to make extra money if you’re just going to use credit cards. You’re just taking that money from yourself right away. I know how hard the credit card mindset can be, and believe me, I constantly work on my money mindset, but you CAN make these changes if you’re serious! The #1 place where people are spending too much money is on food! If you can stop eating out for the next month, you might have enough money to make a decent dent on your holiday budget. We rarely eat out (which includes convenience stores, drive thrus or sit down restaurants) but when we do, we make sure it’s in our budget and we always get a groupon or a coupon! The most basic place to start making some extra money is finding a part time job. As a mom that can be really hard since our hours are tighter and we would need to pay for childcare, which often offsets the cost of actually going to work. My recommendation is to look for some seasonal or part time jobs that you can do in the short term to make money for the holidays. So many retail jobs are hiring since they are so much busier. Check and see if any of the holiday jobs have later hours that you can work. Many of the stores in the local mall have shifts that are either overnight or late night. While I wouldn’t suggest working overnight if you didn’t have to (because our sleep and self care matters too! ), try talking to them and seeing if them have a shift that you could go to when your husband gets home from work. The CVS near me is 24 hours and has an available shift from 6p-11p that I could work. While that’s not ideal and limits my sleep (though not by much since I get to bed at 11pm most nights) it allows me to get in some extra hours without having to miss too much time with my kids. There is also a consignment sale in the area that is also always looking for extra help. I typically volunteer (because that adds to the percent that I make when I consign) but I asked them if I could take extra hours for credit to shop and they said yes! If I take 3 shifts, it’ll be enough credit to buy all the kids (mine and all in the family) their Christmas gifts AND get all the kids winter clothes! Could you find the place where other moms work and do some swapping for babysitting services? If you have other moms that work alternate shifts at your job, maybe you could watch their kids while they work and they could watch yours during your shift. Remember, if you’re able to make some sacrifices during this holiday season in order to cash flow your Christmas, you’ll thank yourself in the future for not having those credit card bills! And if it doesn’t fit in your cash budget… you don’t NEED TO BUY IT! If you are a working mom or can’t find a part time job that fits the hours you need, there are a lot of jobs that you could do on your own schedule. One of the best jobs for working moms is to take in some hours as a virtual assistant. A virtual assistant helps a business on their own hours to do a lot of the tasks that they’d like to get off their plate (this could be anything from social media management to answering emails). Bloggers are always looking for extra help at a reasonable costs and I know other mommy bloggers love to get to help out their fellow moms! You could charge upwards from $15-20 an hour and work when your kids are napping! The best way to find places that need VA help is to be proactive! Do you have a blogger you love? Send them an email and see if they need any help. Tell them you have holiday or introductory rates and would love to take some work of their plate. Make sure you pick things that you are already skilled in or actually enjoy doing so they don’t take you a ton of time and you can be super effective. You can also call local business or reach out to ones you see on Facebook. If you’re in any Facebook groups like I am, I am sure you see people advertising their business all the time. It never hurts to reach out and see if they need any help! Most will pay you directly via paypal each week and you can decide if you work per hour, per tasks, or one flat rate! My other recommendation for quick holiday money and how to earn more money as a mom is to get busy in referral marketing. Referral (or affiliate) marketing is a great way to suggest things that you love to people and make extra money. If someone asked you if a restaurant or movie was good, you’d give your opinion right? How about if they asked for your favorite pair of yoga pants or a great book to read? That’s the same concept behind referral marketing. Almost all online businesses will offer a referral program to suggest their products to your friends, family or audience (You can sign up for mine here and get a 40% commission if anyone buys any of my products through your link). They do this because it helps them expand their audience and allows you to make extra money too! There are some really great ones out there for moms and my favorite is the Ultimate Bundles (you can sign up to be an affiliate here). They come up with crazy amazing digital bundles that moms love and save them money! When I sell a bundle to a friend, I make between $10-$25 and they get a great deal! There are a lot of ways to find programs but the easiest is to either google the name of the program + affiliate program or just scroll to the bottom of their homepage and see if they have the words ‘referral’ or ‘affiliate’ there. My biggest suggestion though, is to only suggest products you actually love and use. I never will suggest anything to you (in my emails, social media or on a blog post) that I wouldn’t use and don’t already love. People can tell if you’re just trying to sell them things, so think about it as a suggestion. If you’re best friend said “what is your favorite cookbook?”, which book would you send them too? That’s the one you should suggest to others because you know it will help them a ton! If you’re looking for other ways to conquer your debt , gain control of your finances and stop stressing over money, make sure you join the kick your debt to the curb in 5 days challenge! !